With the highest cinema admissions per capita in Europe, it’s safe to say that Ireland is obsessed with cinema. So it stands to reason that its capital city should be home to some truly impressive places to watch movies. Situated right in the centre of Dublin on O’Connell Street, the Savoy justifies its place in the city’s cultural history. First opened to the public in 1929, technological modernisation has not diminished the grandeur of the interior, from the marble tiling in the lobby to the grand main screen, framed by red velvet curtains. The city’s oldest cinema still in operation, it frequently plays host to Irish premieres of both major and festival pictures, and its comfort, cosiness and legacy mean the Savoy continues to hold a special place in the hearts of locals. Before the prevalence of the large suburban multiplexes, the Savoy was many a Dubliner’s first cinema experience. Home to Dublin’s arthouse film scene, the IFI can hold its own among the many multi-screen options in the city centre. With only two screens, the films on offer are carefully curated to maximise variety, and while showtimes can be limited, it has a café bar where you can meet friends to enjoy a coffee in the bright courtyard ahead of the screenings. There is also a small but well-stocked bookshop, and – perhaps most importantly – the IFI is home to the Irish Film Archive, a literal vault for the physical and digital legacy of Irish cinema. 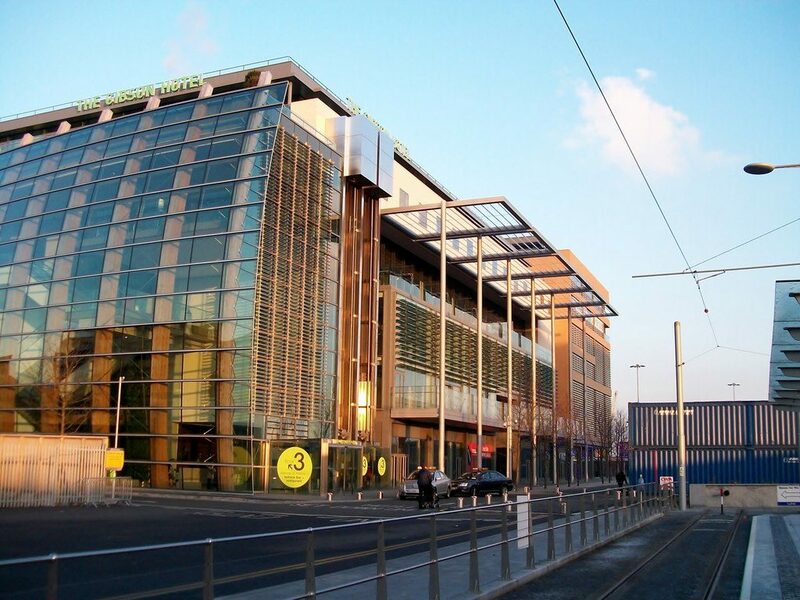 A few minutes by Luas tram from the heart of the city centre, the Light House Cinema on Smithfield’s Market Square, with its mixture of independent and mainstream features, blends the edge of an arthouse cinema with the comfort of a multiplex. The quirky layout and colourful décor of this ultra-contemporary space add to the experience, while descending the wide staircase with its polychromatic benches lends a feeling of escapism. The café in the lobby serves more than your typical cinema concession stand fare and provides a relaxed atmosphere in which to wind down before or after your film. At the opposite end of the Luas red line to the Light House lies the Odeon at the Point Village. The cinema itself is situated deep inside a relatively newly built complex lined with unoccupied retail units, giving a slightly post-apocalyptic, Dawn of the Dead feel to the journey to the box office. But if you want a reason to venture to the Dublin Docklands to see a film, perhaps the ‘Isense’ experience will entice you, delivering blockbusters using projectors with four times the resolution of standard models. Their ‘Bargain Wednesday’ deal takes the edge off this otherwise somewhat expensive experience, particularly when you take the cost of the Luas ticket into account. Surrounded by a multitude of bars, shops and eateries, the 17-screen Cineworld on Parnell Street has been a reliable fixture for on-a-whim cinema goers for years. Its sheer size means that the variety of features and screening times are guaranteed to supply your demand – be it an indie in one of the smaller screens, the latest blockbuster, or one of the IMAX® experiences. As well as the screens, its multiple floors also hold a comfy bar with a surprisingly cool vista, plus an ice cream concession stand, pick ‘n’ mix and other snack options. 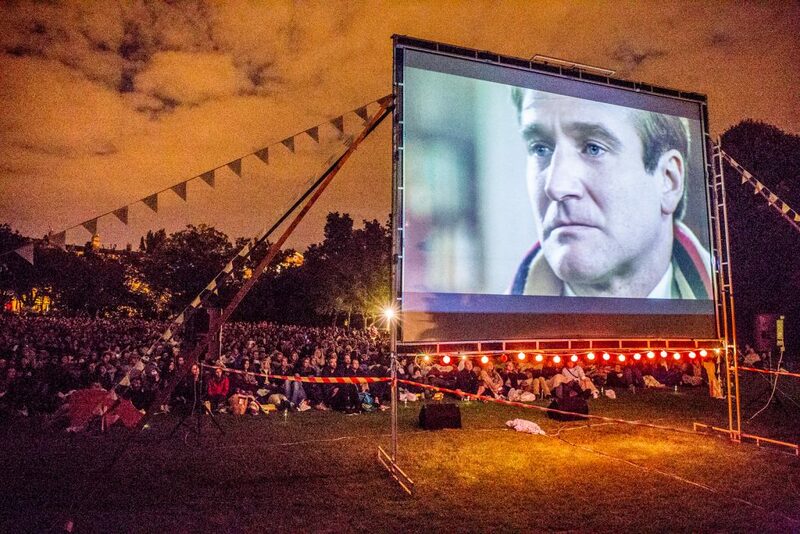 For an out-of-the-ordinary movie-going experience, check out Happenings, which holds spontaneous summertime open-air cinema screenings in places like Merrion Square, the grounds of the Royal Hospital Kilmainham and Herbert Park. All you have to do is sign up to their mailing list to be notified around 48 hours before a screening takes place. Films begin at dusk in a fun, convivial atmosphere, with street food available for sale. Guests can purchase tickets at the gate for approximately €5. 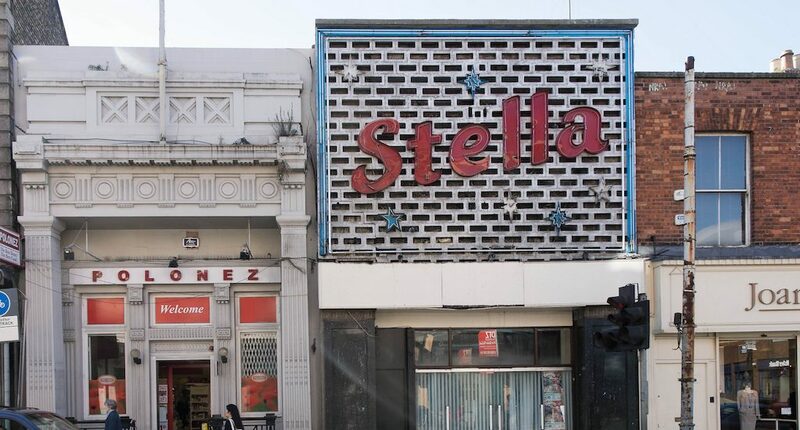 Keep your eyes peeled for an official re-opening date for The Stella Theatre in Rathmines – a 94-year-old cinema currently undergoing an ambitious restoration, with hopes to open to the public by the summer. Refurbishment plans include fitting the interior with ‘bespoke furniture…evoking a burlesque-luxe ambiance’ and adding a cocktail bar – according to the Irish Times. The plans indicate that The Stella aims to become a firm favourite with the Dublin hipster set when work is complete.